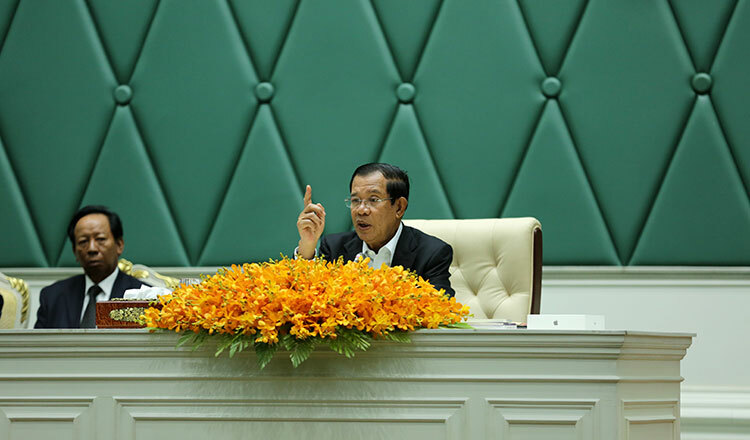 Prime Minister Hun Sen yesterday slammed former opposition leader Sam Rainsy for hampering the process of national reconciliation as the latter remains on the offensive in the international front to criticise the government. Mr Hun Sen made his statement during a meet with top-grade students at the Peace Palace yesterday. He said that Mr Rainsy never congratulated Cambodians on their national achievements and would instead attack Mr Hun Sen’s family. 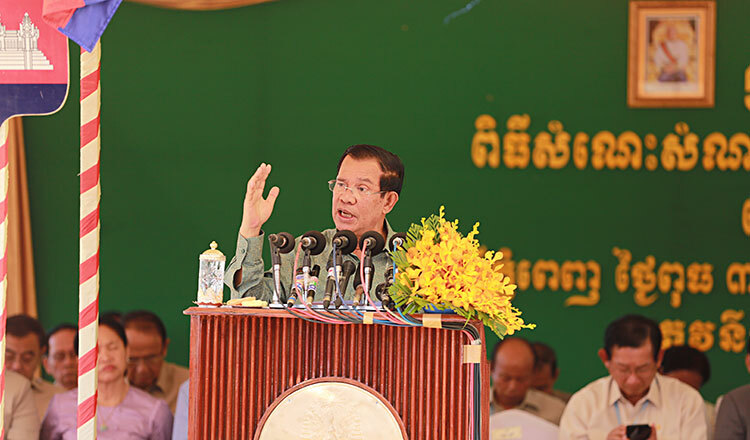 During his statement, Mr Hun Sen said he is determined to prevent the destruction of peace in the country through a military coup or a colour revolution. 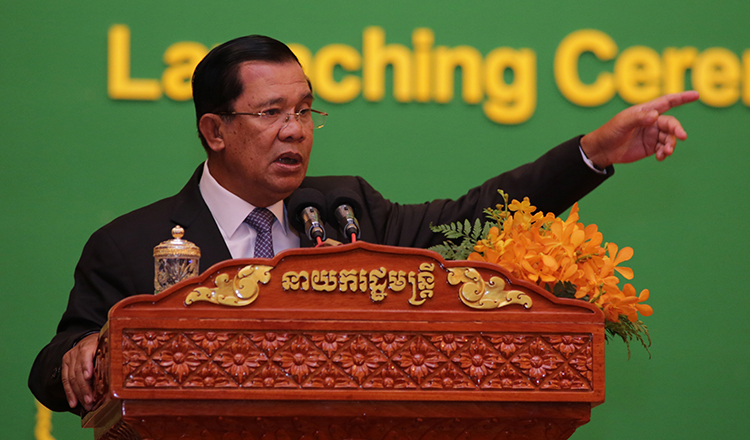 “They can say whatever they want about me, but I need to protect the lives of the Cambodian people,” Mr Hun Sen added. Mr Rainsy has been the leading voice of dissent since the CNRP was dissolved last year. The CNRP was dissolved by the Supreme Court after its leader Kem Sokha was jailed on treason charges for allegedly conspiring with the US to topple the government through a colour revolution. Its 118 senior members were also banned from politics for five years. Now in exile in France, Mr Rainsy encouraged demonstrations held in Europe against Mr Hun Sen and the government. In April, the Council of Minister’s Press and Quick Reaction Unit yesterday released a video accusing the Khmer National Liberation Front, branded a terrorist organisation by Prime Minister Hun Sen, of colluding with former opposition leader Sam Rainsy in a plot to overthrow the government.